For more information about High Definition Lenses, Click Here! See better, see clearer, see sharper! "Chic AR" the latest technological advance in anti-reflection coatings. You asked for the best and now can offer it to you ! 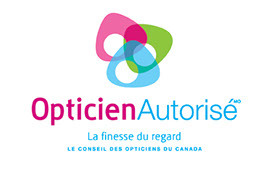 From Riverside Opticalab, our Canadian lab company located in Ottawa, Ontario. New super hydrophobic coating repels water, oils and dust. Easy to clean and keep clean, this coating eliminates reflections for improved vision, has durable scratch resistance and a 2 year patient satisfaction warranty. Best recommended for any computer user, also cuts back on night driving glare, fluorescent lighting glare, and more! We offer on site lab services for quality eyewear services and we can repair just about anything you bring into our shop! We fit your specialty frames, And carry the latest in fashion frames for everyone! Come and see what we have for you! Designers Collections by : WE SUPPORT CANADIAN FRAME DESIGNERS : VENUS EYE DESIGNS; designed and manufactured from Edmonton Alberta ! Visit some of the collections online.